Based on the recommendations of the selection committee, the foundation’s Board of Directors have approved 12 from a total of 91 nominations, which were received by the specified deadline of September 30, 2017. The foundation will finance these select individuals and collectives by a total sum of 660,000 CZK. During the selection process, the Committee and the Board of Directors placed emphasis on interdisciplinary artistic cooperation and a strong orientation on ecological and social topics. Almanach focuses on visual and literary works of Litoměřice’s regional artists, especially of the younger and currently active generations. As such, it directly reflects the activities of the region’s active and contemporary individuals and their local scene. The collective also devotes their energies to preparing various community events, playing an important role in the whole region. The fact that the previous issue of the Almanach was quickly sold out testifies to the attention they have been receiving in their locale. 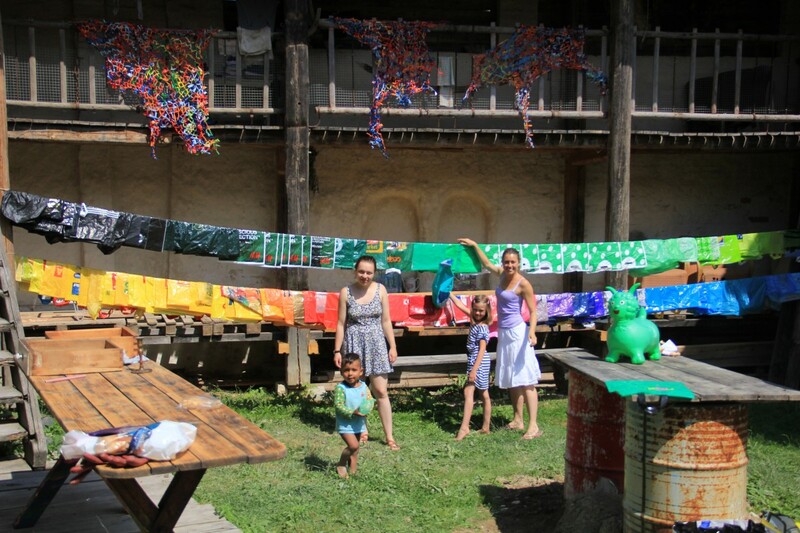 The collective has long been active in the region, providing a space for organic cultural and artistic activities in a location which is not currently able to support most of their current activities. It has an irreplaceable role for the local artistic community. The exceptional programmatic focus of quality contemporary art, along with the specific social dimension of their work is fairly specific and in the Moravian-Silesian region wholly unique. The wide spectrum of activities and the integrity of this collective’s intensive cultural and educational program plays a fundamental role in the lives of the local inhabitants, cultivating an atmosphere of mutual togetherness. Many important sociopolitical topics are discussed as part of this unique community project which simultaneously plays an active cultural role in the local community. Furthermore, the collective has received a very specific historical building in the center of the town which also speaks for the determination of its members, and their willingness to devote their time and energy. This initiative constitutes an attempt to initiate discussion about the estate of the Válová sisters, closely linked to their birthplace of Kladno, and deal with the question of what to do with the house in which they lived and worked, as well as with the conserved artefacts. The general awareness about the importance of the Válová sisters’ artistic legacy in Kladno is, in many respects, insufficient and has not received wider attention. The goal of the project is to increase interest and initiate steps at the municipal level of Kladno, and to appeal to the National Gallery and the Ministry of Culture, which would ultimately lead to both a discursive and financial investment for the preservation of their legacy. The project of the Romafuturismo cultural center is, within the context of Czechia, absolutely unique. The intention to construct an accessible community center (not at all exclusively) for the Roma minority constitutes an important step towards attempting to eliminate racial antagonism – a trend which constitutes a highly negative phenomenon among Czech society. In the long run, the scarce options and resources devoted to properly and effectively present the fascinating and lush culture of the Roma, or any other cultural minority in the CR, are one of the major factors in ethnic tension. The collective effectively connects social work with cultural and educational activities. For a long time, Chomutov has been considered a problematic locale within the CR and the Ku prospěchu collective is attempting to challenge the city’s negative image. They focus mostly on the youth, which they attempt to actively integrate into the preparation and organization of various programs, offering the locals a creative approach to many cultural, artistic, community-oriented and sport activities. We very highly value their overall emphasis on the protection of the natural environment and their drive to eliminate social or ethnic antagonism. In the past few years, the village gallery of Chaos has proven itself to be a highly interesting project which focuses on the segment of rural public. The exhibition’s dramaturgy is mostly oriented towards artists who deal with topics relating to the countryside, nature or ecology, and who attempt to draw the attention of a rural community to contemporary art through accessible and understandable means. The gallery is also affiliated with two local middle schools with a focus on art and the humanities, and where the exhibited artists often teach or engage in other educational activities. The community project Punctum constitutes a wholly unique project within the context of Prague, as its focus and its dramaturgy offer a functional and important alternative to the usual cultural and social platforms. It is mostly focused on experimental music formations, and attempts to make them easily accessible to the wider public in a non-elitist manner and by means of a finely tuned educational approach. Furthermore, the collective is also strongly engaged in ecological education and the prevention of problematic psychosocial phenomena. This conspicuous author of, predominantly, children’s illustrations and literature lives on a farm in Mezná by Pelhřimov, and the spectrum of her artistic activities is truly unique – from realizing theatre performances for rural children, to organizing workshops and other pedagogical events in her region. Her project promises a visual report of everyday life with a cow in the Vysočina countryside, which will materialize in the publication Kraví knížka (The Cow Book). The project for the preservation of the Valeč Château in the former Sudetenland and the search for its new function through organizing exhibitions and many social get-togethers, has shown itself to be a consistently successful event which remains attractive for the general public. The cultural life in an otherwise marginalized locale is lagging behind, and any community activity constitutes a great benefit for mutual cohabitation. For a significant amount of time, the collective has been very effectively taking care of the public space and the city’s cultural psychogeography. It actively functions as the politico-cultural opposition to the city council and as such represents a perfect example of a grassroots cultural and educational movement. The volunteer civic initiative is determined by a natural need for caring about their environment in both the spiritual and material sense, and especially by means of constructive criticism of controversial topics or functions of the city council. The collective’s program is varied and its activities have, through years of work, become very popular and sought-after. It occasionally publishes a periodical with many expert texts focused on contemporary issues, as well as on the collective’s projects. The structure of the beckoning water tower, built at the former railway station, has, for the town of Vratislavice, recently become the focal point of cultural and community life. The meritorious preservation of the structure, which may, in fact, be the only one of its kind, and the culturally-educational activities have managed to foster a lush and sought-after public program. The inhabitants and the local small businesses either take active part in the volunteer work, or support the cultural events materially. This testifies to the collective’s ability to generate and maintain attention, and to support the inhabitants’ interest in their city’s common spaces and cultural values. Janek Rous, head of Agosto Foundation’s Perpedes Grant Program, was invited to to the studios of Czech Radio to participate in a discussion on the ArtCafe program concerning the current state of support for the organizing of alternative cultural activities in smaller cities and villages in the regions. Also participating were Iva Kaiserová from Bart Association in Úterý near Plzen, Matěj Kolář from Polná near Jihlava representing spolek Kuš, and Petr Karásek from the Kupropěchu Group in Chomutov.